I visited the Maryland State Archives in Annapolis. I was looking specifically for militia and volunteer Revolutionary War records for a client in hopes of getting birth information of his ancestor or additional family data. It’s not everyday that we find an ancestor in the states during the Revolutionary War, but believe me, there were a lot of Tucker’s. This is where you can obtain more information on church records, maps, newspapers, etc. Your choices are many and for this reason you should limit your search prior to arriving, based on your time. It will take a couple of days to get access after you set up a username password online. Note, however, at the Archive you have immediate access. For me, I count this visit as educational hours; and for the client, well, he got a lot more than he bargained for and that’s always a plus. What’s even better is I’m familiar with the Maryland Archives, (in Spanish I would still use conocer not saber) and although I didn’t find that Tucker needle, my research for the client at the Md. State Archives, was thorough. I have this rule that I don’t do emergency projects for clients. First of all one would have to wonder, what is an “emergency project”. Well, it’s the one that you have less than two weeks to do, the deadline is immoveable, and the job was not scheduled or expected so it has to be fitted in the work schedule. So what am I doing right now? An emergency project. I have been 99% successful in saying “I’m sorry, but I would be unable to assist you on this project.” But what do you do, if the project is for one of your best clients and he has a business trip in 10 days in the area of his GGGGrandparents. Let me add, he is traveling from California to Missouri. For me, the answer was easy – you assist the client and plan on sleeping very little for the next 8 days (the package should be in the overnight and to arrive on day 9). I pulled the needed file from my archival system immediately and reviewed my final report before I even answered the request. I sketched out a plan of how to attack his specific requests of land locations and living direct lineage or distant cousins in three remote counties of Missouri. Yep…I can do this in 20 hours (all I could possibly give up in 8 days) and have the package prepared for him. I am half way through with the project now - Day 4. I will finish up county two today, and start with county three. I have already sent him what I considered to be time sensitive data and have actually given him a page and a half of a preview of what to expect based on a few questions he has sent me for his preparation. His excitement vibrated through his email response. He actually called me “heaven”. No, I’m not a travel agent, but 27 phone calls later, I have found him local hotels, places he must see with directions, and very needed host/hostess names for the area. This is a remote area with directions given as “the oiled road south of town”. No name, just that it goes between the church and the cemetery and over the hill. It took me a few questions to figure out that the “oiled road” was a blacktopped one. Opposed to what? This is the interesting part. As a genealogist, I would not normally call half a town to see if they knew of my subject. Time is limited so I normally spend it on county courthouses, city halls, libraries, genealogy societies, etc. I don’t normally spend client hours talking to a farmer on Rt. 1 who starts a chain of telephone numbers and names accompanied by failing health anecdotes and recent family deaths worthy of a town directory and a gossip column. No…I don’t usually start any project like this. 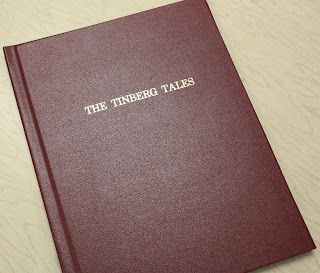 But, it is a great way to get social history and a feel for a location if your client is off to the wilderness. And, I have gathered gads of additional genealogical tidbits of his family by doing so, including finding a local genealogist, who happens to be a distant cousin, and has a database of over 27000 relatives. We were easily able to pinpoint that they were 6 cousins, once removed. Now this is the contact your client really needs. And I will probably lose his business to this distant cousin, but isn’t that what we all want – an exhausted history of our family? 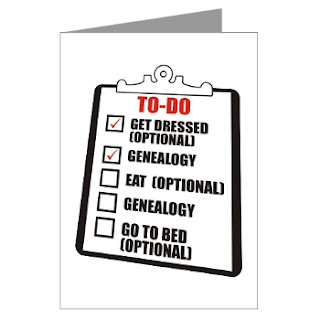 Hope you are saying yes to the possible, and breaking a few of your own rules for a little genealogy fun! 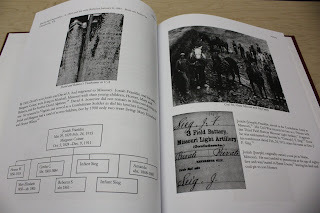 I had an opportunity to assist a client in planning a genealogy trip. At my regular fee, my client asked me to find direct line or distant relatives in the area, telephone numbers, repositories of family information, and a listing and location guide of sites of interest. This included land sites of his forbearers. Now this project might not sound like fun for some, but for me, it was a blast and a welcomed break. Besides that, it was an unexpected revenue generator for my upcoming vacation. After having worked in genealogy dungeons for the past 12 weeks (court house basements, dusty moldy archives and my 13x15 office at a computer, my eyes and back (from lifting 20lbs ledgers of wills, estates and court records) needed the break. So after reviewing the customer’s folder for Scotland and Schuyler County, MO, clarifying my client’s goal and defining the length of time of his visit, I began planning my attack. Having never done this for a client, I applied rule Number One: Do it as you would like it to be done! The result was a fifteen page visitor’s guide customized for my client. I began the guide by giving him a weather review for his upcoming trip. And then I addressed his four goals. I had spoken to over 30 people in Scotland and Schuyler County in the areas he was to visit and in doing so was able to identify the experts of Bible Grove, Memphis and Downing Missouri and who were excited about being a host/hostess for his 3 day visit. I attached land plats with sketchy directions to family cemeteries and the original family church, where one of his ancestor’s pictures still hung. I talked to a half dozen distant relatives and gathered as much as possible about the culture of the area. Many of the members of the community were non-alcoholic drinking church goers, so why not let my client know that suggesting the local bar might not be appropriate. Upon several references, I was even was able to recommend a local hotel where one of his distant cousins was the operator and a native of Bible Grove. I guided my customer to the local museums and contacted the Genealogy/Historical Society in advance so they would expect his arrival, this also allowed me to confirm hours open. And the coups de gras, was my names and address list, alphabetized by both county and interests. I have to say that I don’t have aspirations of being a travel agent, but this was twenty hours of remembering why we do genealogy: to get to know just a bit of the path of our ancestors. Plan a trip for you or a client. Why not follow a bit of their trail? Although I religiously send out customer satisfaction surveys, I do not get them returned as often as I wish. Never do I want an unsatisfied customer; that is not to say I won’t have disappointed customers. What’s the difference? An unsatisfied customer believes you took them for X-amount of dollars, and did not apply the work or your professed skills into the job. But a disappointed customer may have hoped you would fine a needle in the haystack in the 10 hours, 1 month, etc., timeframe, and you did not prove their theory or family folklore to be true. Getting a disappointed customer’s from time to time is inevitable, but as genealogist we must keep the expectation realistic. 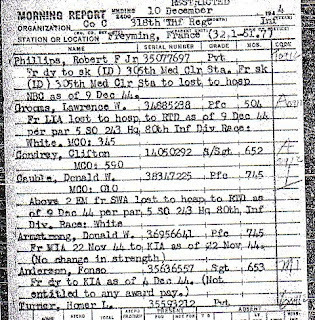 If I’m pulling military records, I always send to the customer information beforehand on the 1973 fire and its affect on military records, and an estimated timeframe for the job to be completed. But what happens if there aren’t records, or the records found and reconstructed aren’t clear enough to get copies. Well, I do the next best thing, I transcribe, and I send them any and all information that I do have. It might just be a draft registration card, or payroll information. I realize the customer does not know what goes into getting military records, the pre-search required by a3Genealogy: obtaining of release forms, coordinating the meetings with the NARA, verifying that the information they gave you guarantees that the John Doe you are searching for is the correct John Doe, etc. But, I must be accountable for due diligence - maintaining a log and action report, not just for the customer (included in part of their final report) but also as a checklist for me to keep that tinge of guilt, caused from disappointing them, at bay, (although it never goes away). Of course there are other options that you can offer a disappointed customer. What about a Morning Report? Yep, it costs more, but let the customer decide if that solution is within their budget. I try to be creative and provide other options in their final report. By using the survey, I can not only learn from what I did right, but why I have an unsatisfied customer. Now, based on information given, I can resolve an issue, or at minimum analyze the situation: Does the customer feel cheated because he was certain in 10 hours you could find his family legacy in 1840?, or was it you who did not read all the documentation that the customer sent you carefully enough, and you missed a vital part of what was expected? The list of what could go wrong is endless, but the best part, is the list that can go right is also infinite.